Lai-La Log Cabins offer 4 x 2 bedroom self catering log cabins that sleep 5 people and 2 x 2 bedroom self catering log cabins that sleep 4 people per night. Each cabin has one King size bed in the main bedroom with two single beds in the second bedroom, three of the cabins have an extra single bed for smaller children. The house (which has 4 bedrooms and sleeps up to 8 people) has two double beds, 1 king size bed and a set of bunk beds. All bedrooms look out onto the ocean. Each cabin has its own kitchen and bathroom plus and own parking in the secure enclosure of the resort. 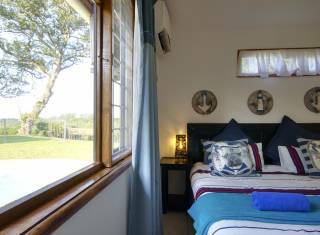 All of our cabins and the main house are air conditioned and have ceiling fans and are serviced daily except for Sundays and public holidays. We also have Wi-Fi on request and Dstv Hotel package. Each cabin has its own kitchen and bathroom plus own parking in the secure enclosure of the resort. There is also a laundry service that collects and delivers on the same day. We have a swimming pool with a beautiful view out over the Ocean where you can enjoy picturesque sunsets from this point. There is also easy parking for a Ski boat. 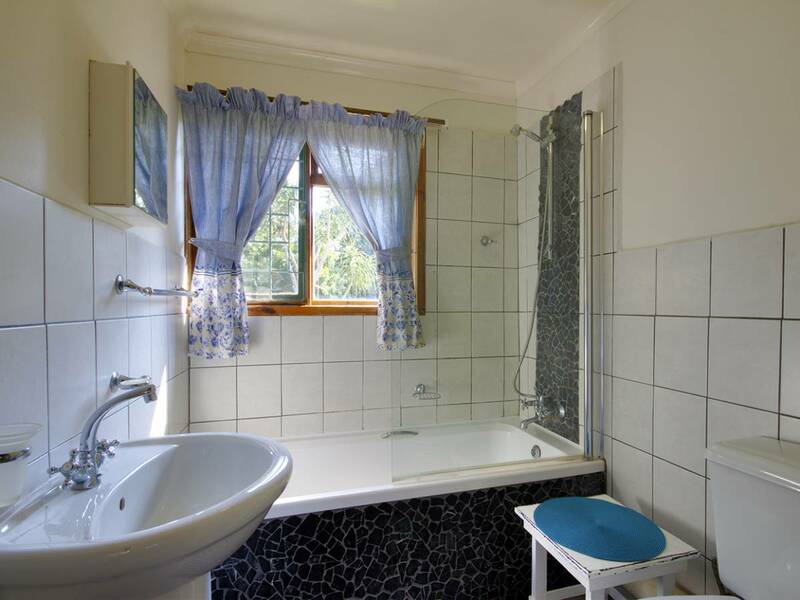 Comfortable, clean accommodation - your home away from home. We offer a beautiful garden, many species of birds and small animals on the premises - there is a female red duiker and her fawn that visit us every so often and the hippos love to come up and graze in the garden in the evenings. In the morning you are often woken up by the Trumpeter Hornbill then falling asleep with the cries of the Bush Baby at night. 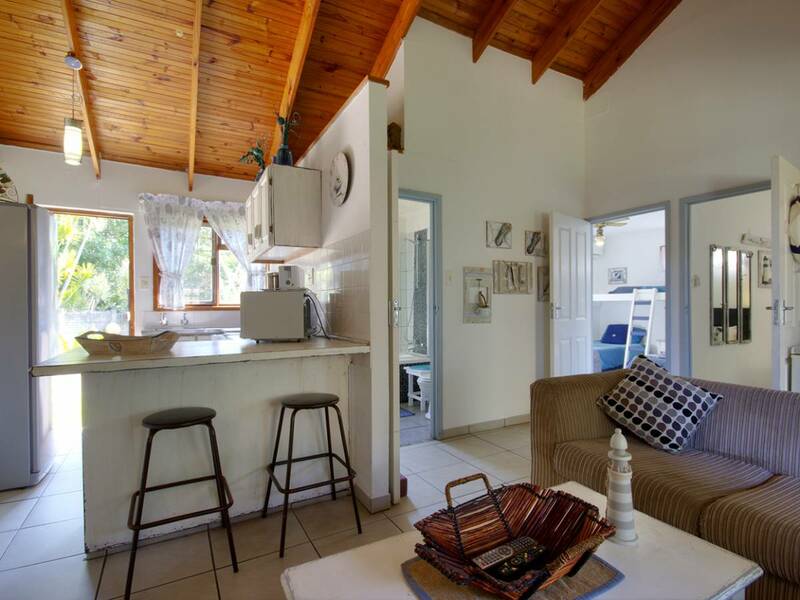 We are close to walking trails, the St Lucia estuary, and the beach. Use Lai-La Log Cabins as a base by spending time in Cape Vidal or the Game reserve. We can arrange all tours through the office for you. Keep the holiday budget affordable and the peace of mind of a wonderful relaxing holiday in the tranquil surroundings.